It’s been coming for some time, but after reading week it will kick in. UCU have voted to go on strike, and many of us will be losing out on valuable lecture time as staff stop teaching. The easy thing to do here is, of course, blame the lecturers. After all, it’s them who are striking. It’s them who are making it harder for students to learn. (Here, we set the them of the lecturers against the us of students, which, as I’ll explain later, is probably the wrong epistemology to go with.) The important thing to consider, however, is what motivates a lecturer. They’re teachers. They want to teach. Either that or their researchers, who want to research. No-one gets into British academia for money – no-one really gets into any academia for money, at that – but definitely not British academia. People get into academia because they want to teach, but what we’re seeing here is the university system weaponizing this against its own staff. Academia exists in a weird, liminal space. We live in a culture that views academic research as impressive or important, but forgets that people actually do that work. I think we often view the academy through an almost monastic lens. A lot of the way people think about lecturers and academics seems to view them as totally unlike any other worker, any other people. There’s always a sense of it being a ‘vocation’ or suchlike, and thus demands for decent working conditions or decent contracts or decent pensions aren’t quite taken seriously. We run the real risk of allowing our veneration of the academy to destroy our academics. The University appears to be behaving like a shark, with a whiff of blood in the water – the university knows that lecturers care, knows that they don’t want to strike, and thus has decided to be as intransigent as possible. But we can’t be surprised that lecturers are striking, as the idea that you would spend up to ten years of your life studying, then however-long-it-is in a career that is frequently not well-paid, only to sit by and allow your employer to wipe £200,000 off your pension, leaving you to live (potentially in one of the world’s most expensive cities) on £12,000 a year, is for the birds. Of course lecturers are angry. And you should be too. Our lecturers are good and decent people and they deserve to have a decent pension after a lifetime’s service to the academy. Likewise, you deserve to have lectures. The issue here is, are you willing to see lecturers, people who have spent the past three years teaching you, have their pensions radically reduced while their pay stays low? There’s a difficult conflation that students make, which is the assumption that their £9,000 per year goes to funding their course. Surely that entitles you to lectures? Well, maybe if that was how funding worked, it would. But it isn’t. If you’re doing a humanities degree, then your money is funnelled to the sciences (cross-subsidisation) because science research is, on the whole, more profitable. Money from that nine grand is funnelled to the university administration, who use it for infrastructure or other things. The image some people seem to have of the leisurely humanities don living luxuriously off of our fees hasn’t been the case for decades. In other words, this is not the fault of the lecturers, who have been left with very little by way of choice. After all, their pay has seen a 20% real-terms decrease over the past few years and contrary to one wild rumour, they are not paid while on strike. In fact, in terms of the numbers here, since 2009, the real-terms pay for university staff has declined around 20% in London. 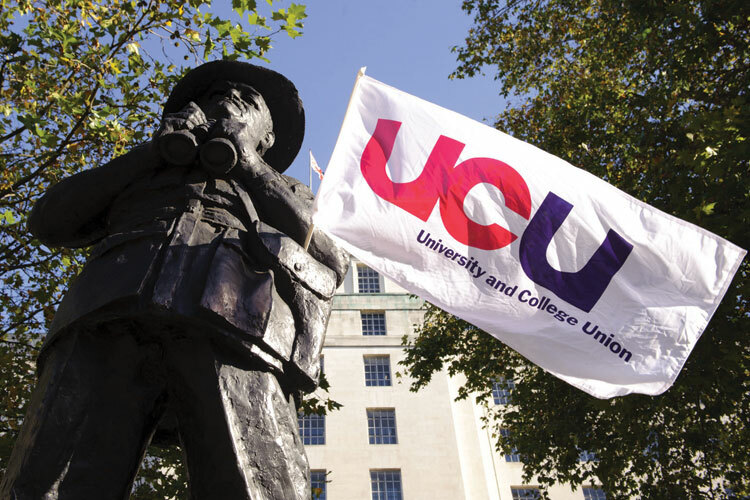 There have been three successive attacks against the Universities Superannuation Scheme (USS), threatening the safety and prosperity of staff in retirement. The justification for this cites risks to the pensions fund, yet, by taking the worse-case assessments, the portion of the USS deficit for which Queen Mary, University of London (QMUL) is responsible for is just £38.6m, which equates to 9% of QMUL’s annual income, the surplus accumulation of which since 2012/13 is around £75m. A glance at Twitter reveals that most academics feel awful, that they really don’t want to leave students in the lurch – but they just can’t take any more. We are in a situation where academics are attempting suicide and having potentially unwanted abortions because of work stress. They’re paid less than their contemporaries in other sectors and the workloads of people who work at universities appear to be on the rise. About two-fifths of all university staff say that they have been working longer hours during the working week over the past three years. This is an untenable situation, and exacerbated no end when you add in ‘…and we’re slashing your pensions’ to the mix. The issue of lecturers’ pay is not about the them and us I mentioned earlier. The lecturers are not them. They form, or should form, part of the us, with students. Because yes, this is about pensions, but it’s also about taking a stand about the sort of world we want academia to be. It’s about asking the question – do we want academia to be a fairer world? At this point, perhaps I ought to come clean. I’ve long considered academia as a potential career path, as have a few of my friends. I’ve applied for, and received offers for, postgraduate study. I know I’ll do a masters, but I can’t overemphasise how off-putting this whole saga has been to my career hopes. Researching for this article made me wonder why anyone gets into academia at all. I wonder how many other young people have looked into this protest and realised with a sinking feeling ‘…Oh my God. What if they treat me this way?’ I wonder how many bright young undergraduates or masters students this is putting off going into the world of academia? Yet, despite all that, I sat down a few nights ago, and looked at my dissertation and realised that I still want to go into the field, so I wondered why that was. There’s an obvious answer though, isn’t there? Passion. That’s what they keep saying to those of us interested in postgraduate study, anyway. Make sure you’re passionate about your project, passionate about academia, passionate about your topic of interest. This is probably good advice, but the problem with passion is that it doesn’t pay rent. It doesn’t put food on the table. From what I have been able to ascertain about early career researchers, you are expected to power through adversity, casualised contracts and bad pay on the sheer force of ‘passion’ alone. This is a grim fact of the industry it seems, but seeing the consternation that the thought of strike action has inspired in so many academics who really do just want to teach makes me feel the same sort of thinking is being applied across the board, to all staff. But it is high time that we began to focus on the material conditions that we expect academics to work in. We need to be thinking about payment and pensions more, and passion less. Go to qmucu.org/email to email our Principal, Colin Bailey. Help out on the picket lines. Coordinate via QMSU. I’ll be supporting a motion to ask our SU to stand in solidarity with the UCU strikers, and you can come along and vote. I support those students who are angry. You should be. I am. But anger at lecturers is misplaced anger. The University, frankly, should be much better at negotiating than this. Warwick, for instance, has already began re-opening negotiations with UCU to prevent industrial action. Let’s hope QMUL does the same.